Congratulations, Amanda! 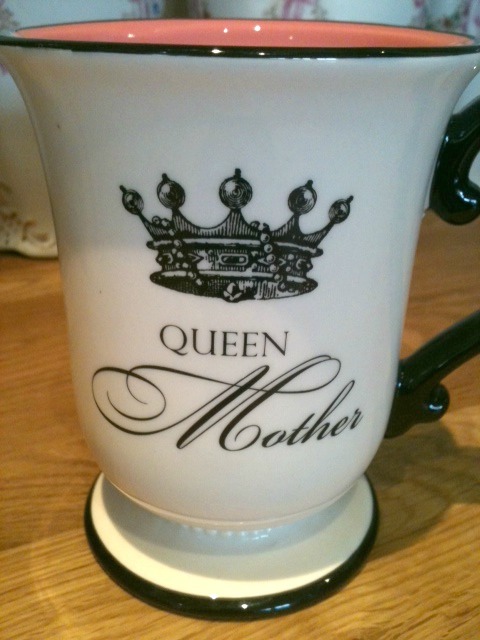 Please contact me at thequeendishes@gmail.com to claim your mug. I am so excited! I couldn’t wait to post about this super cute mug! I thought it was so cute, I bought two; One for me and one for you! 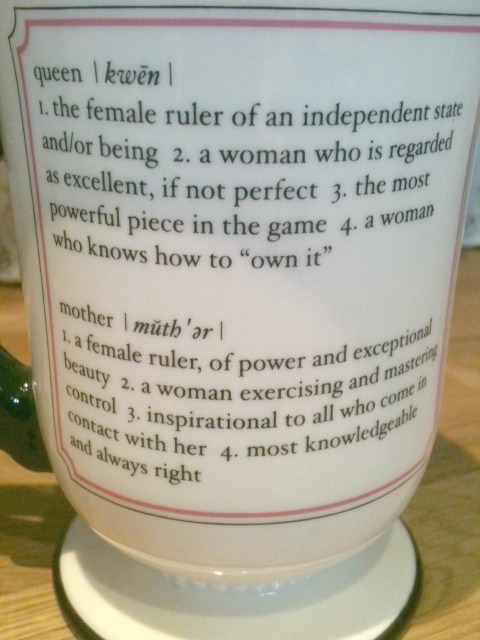 I especially like #4 under Mother (or muther): “most knowledgeable and always right”. I think I will have my kids memorize that. No, not really. Well, maybe. If you are not a mother, you can certainly give it as a gift. Perhaps someday I can give away $400 boots like Pioneer Woman, but for now, a super cute mug will have to do. 1) Follow my blog:) Leave me a comment below that you are following my blog. Already following? Comment below — it still counts as an entry! There are a total of 4 possible entries. This contest will end Sunday, December 4th at 11:59 PM PST. The winner will be chosen via random.org.